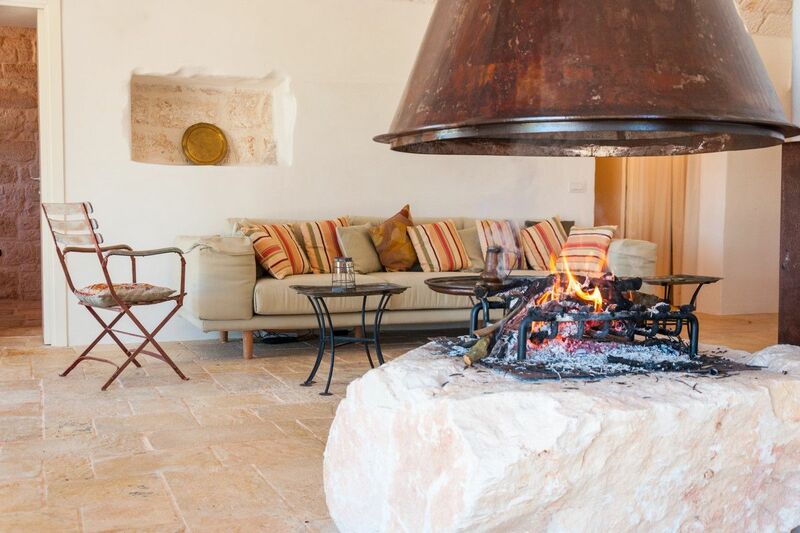 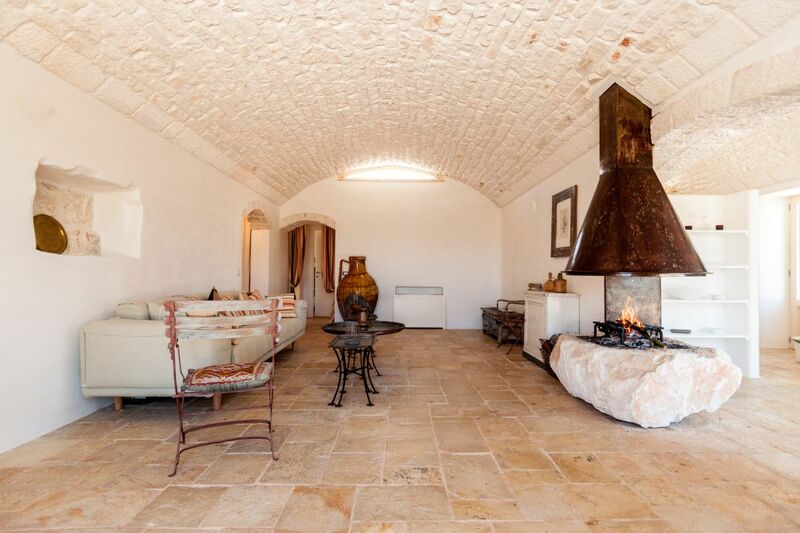 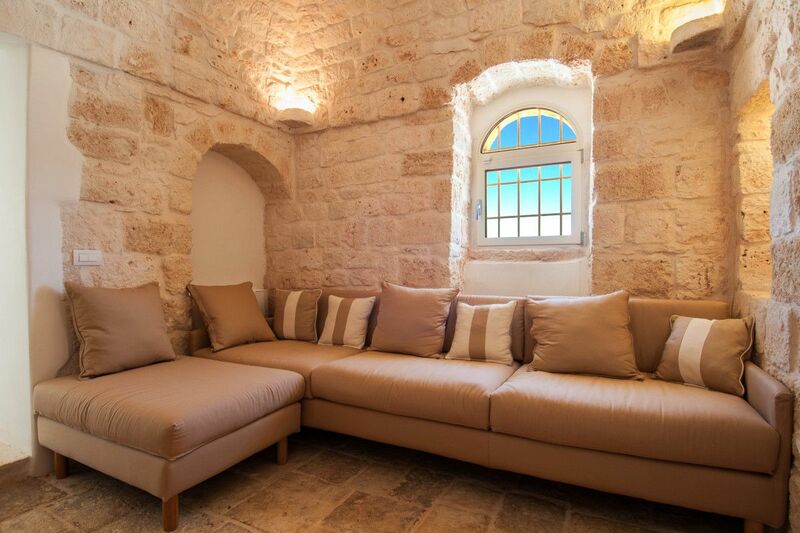 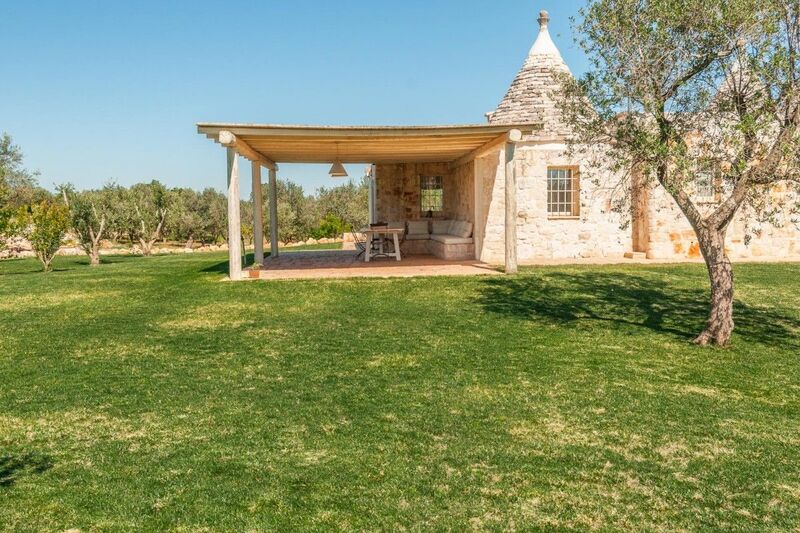 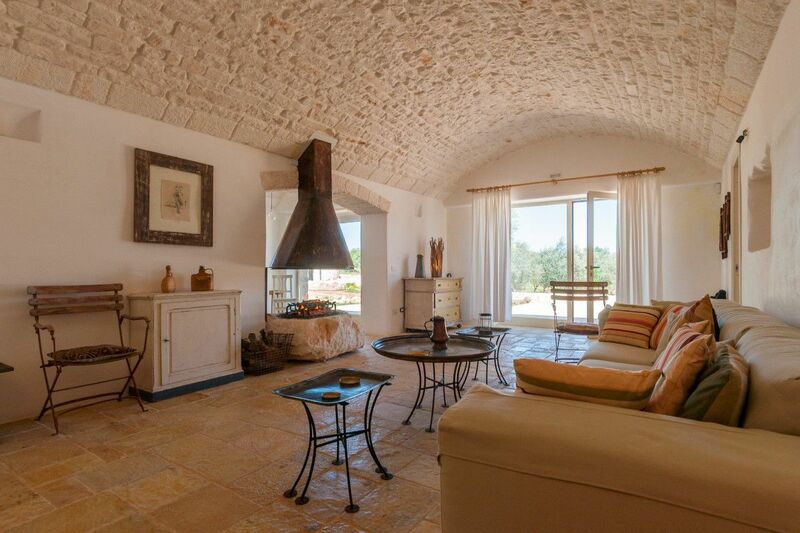 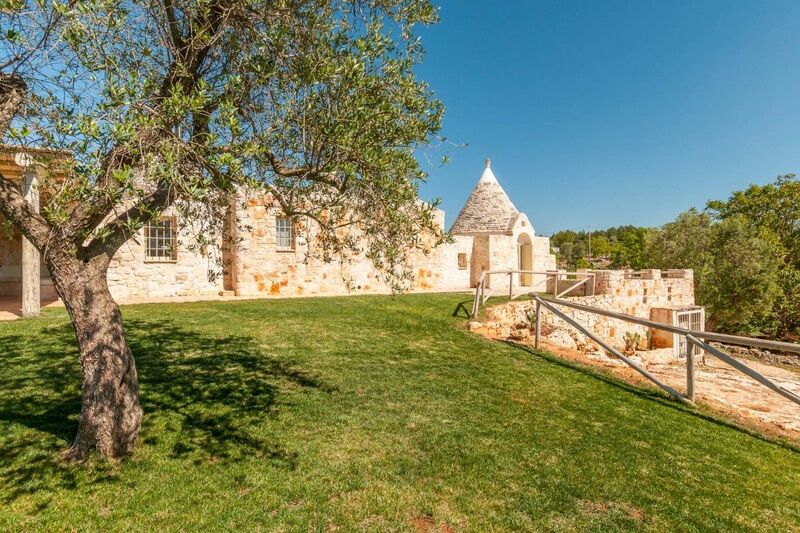 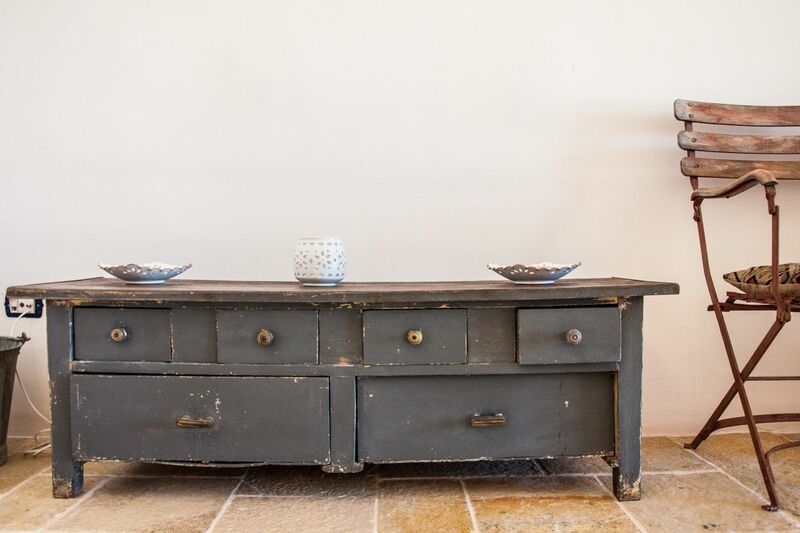 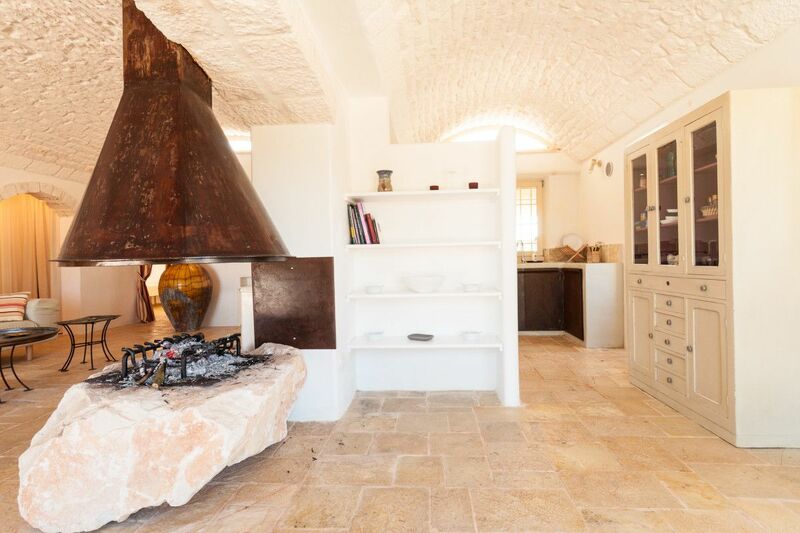 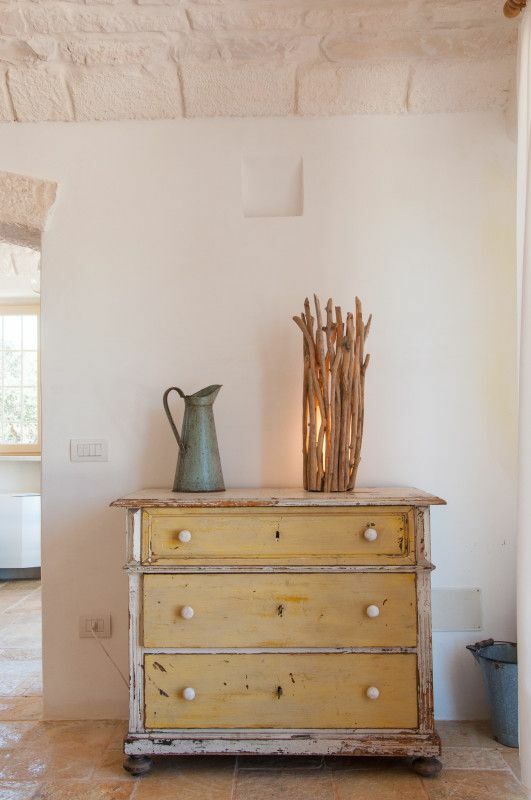 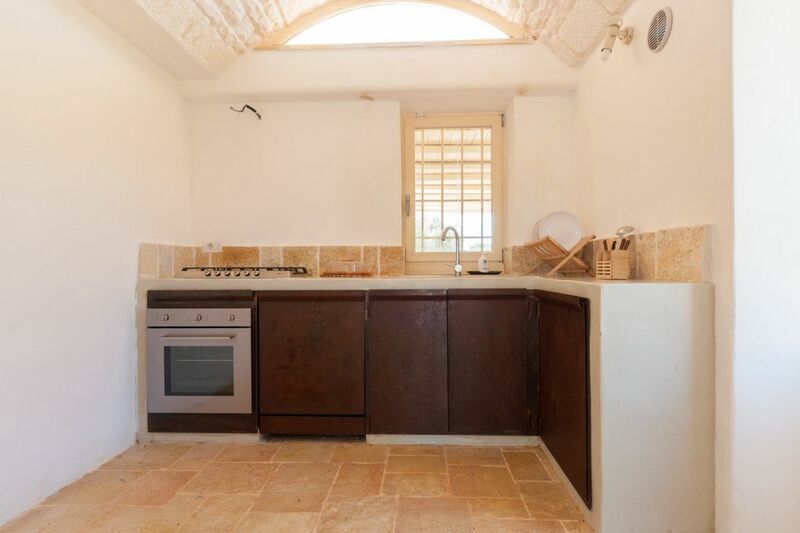 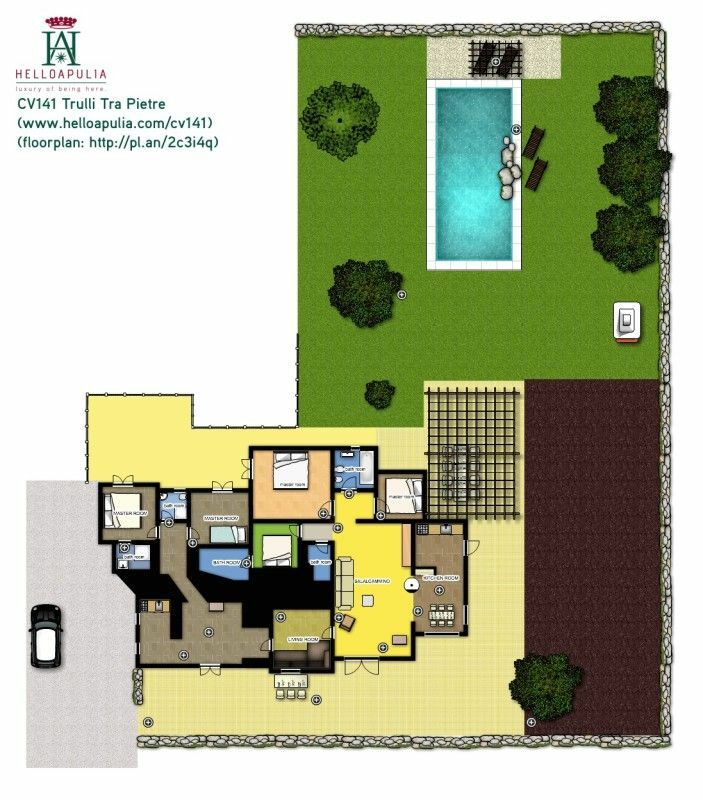 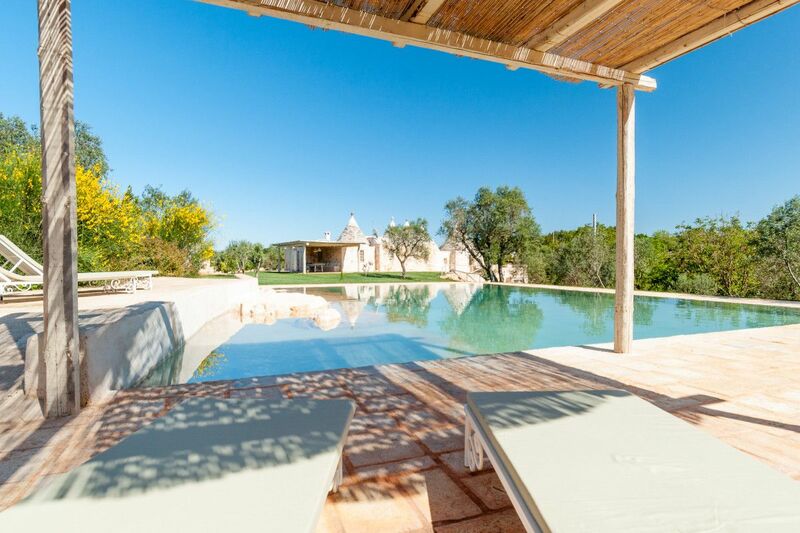 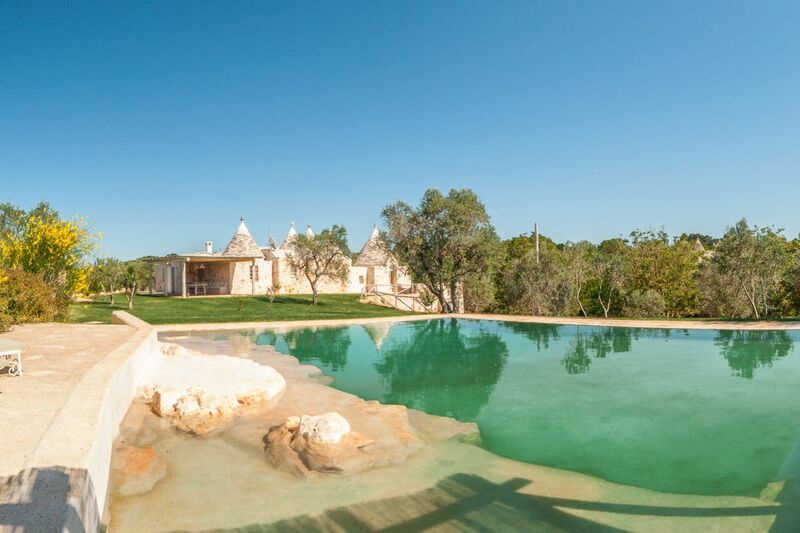 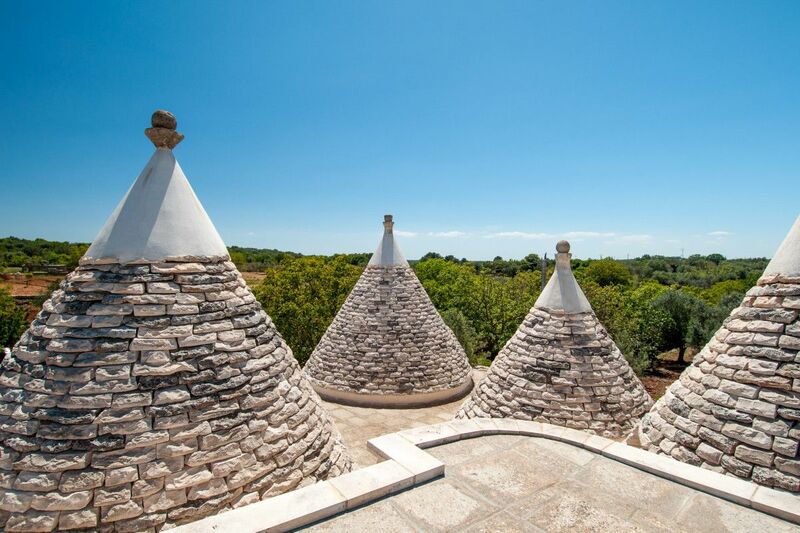 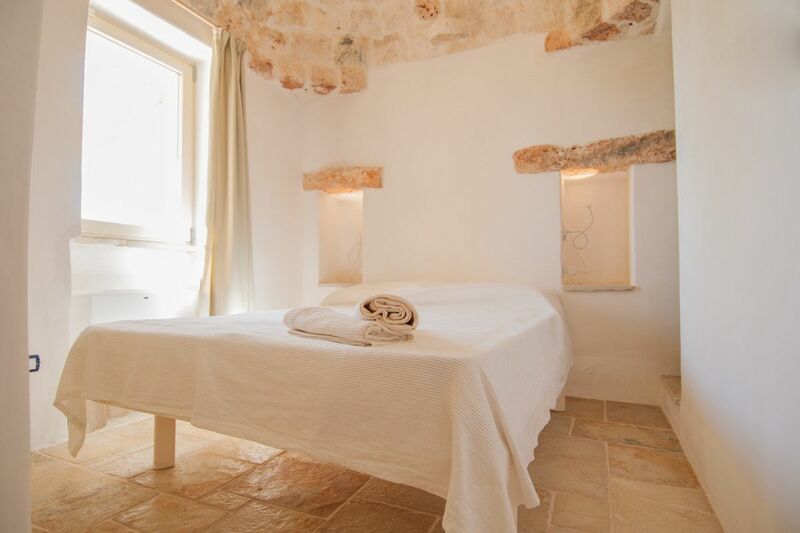 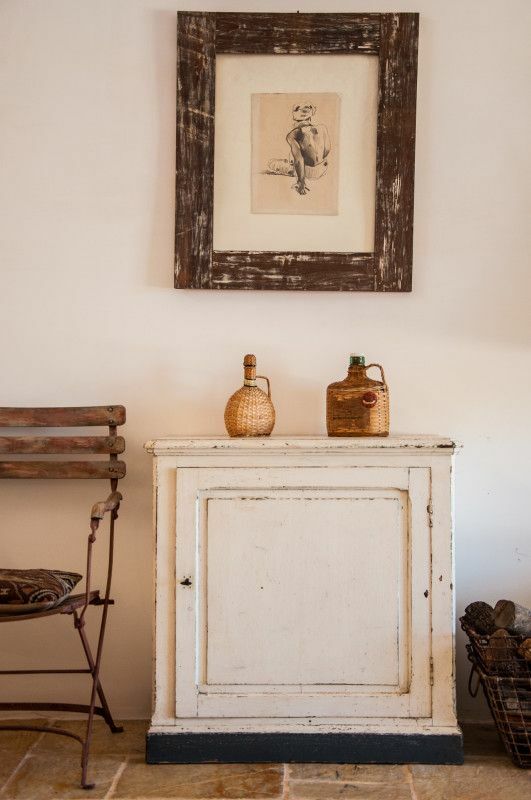 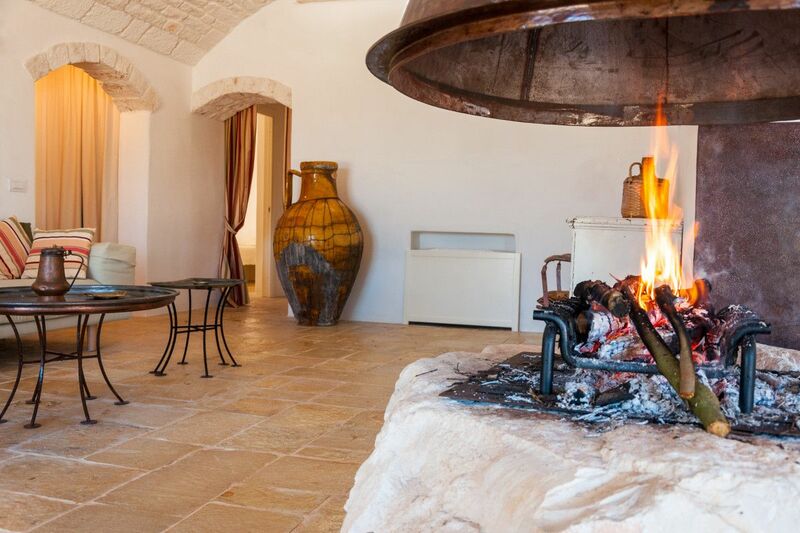 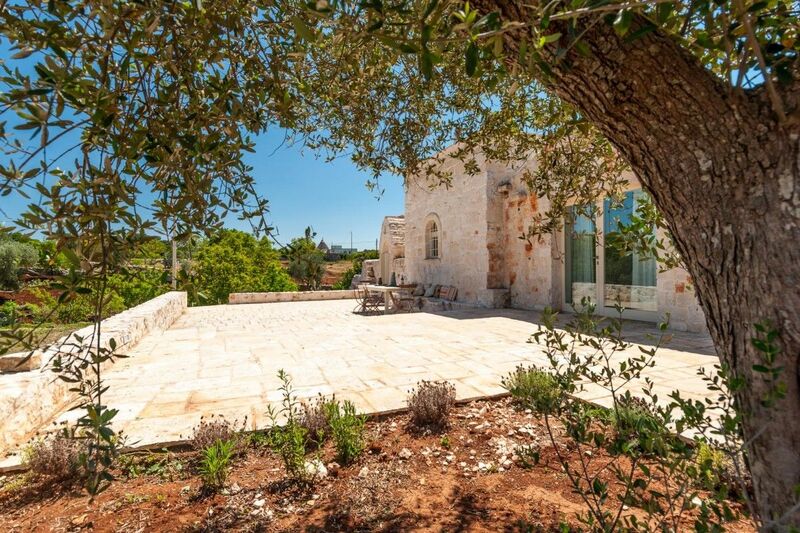 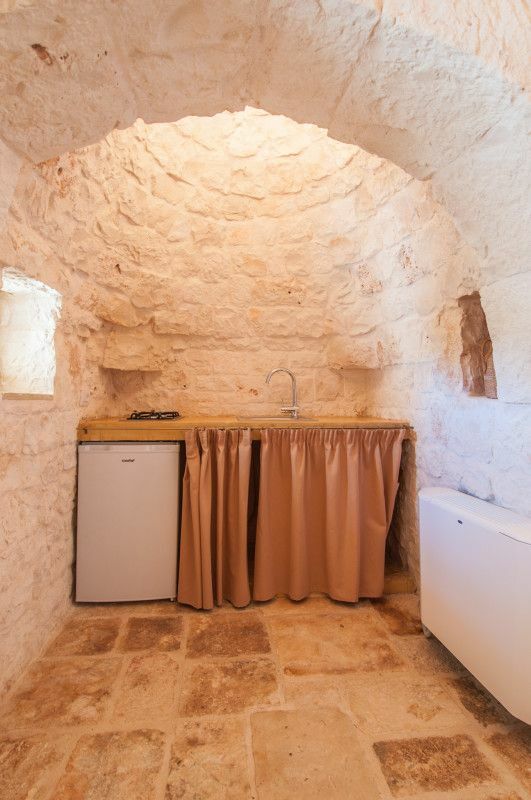 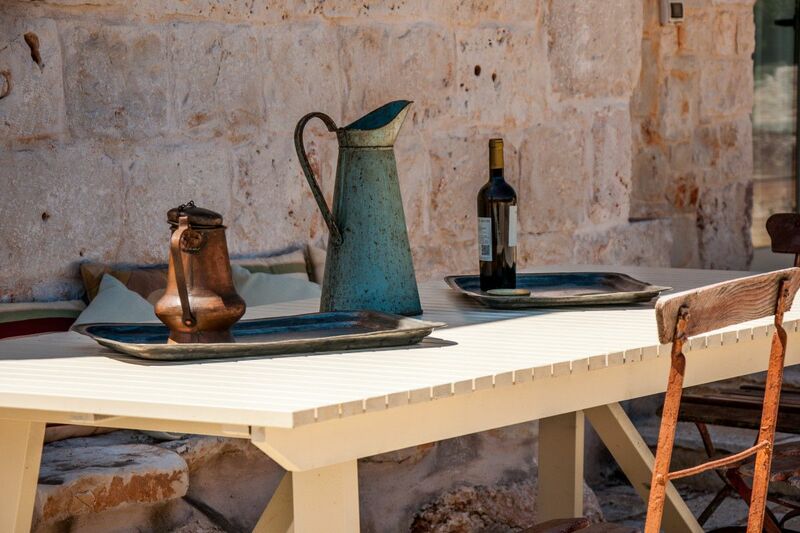 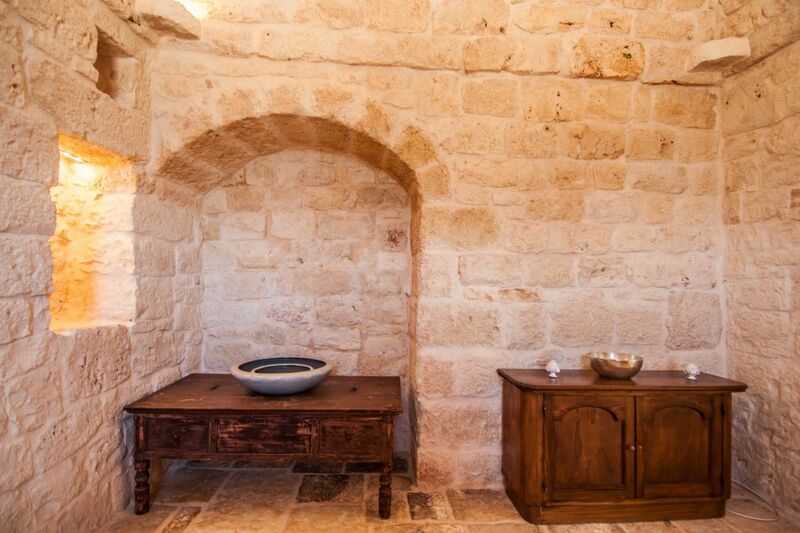 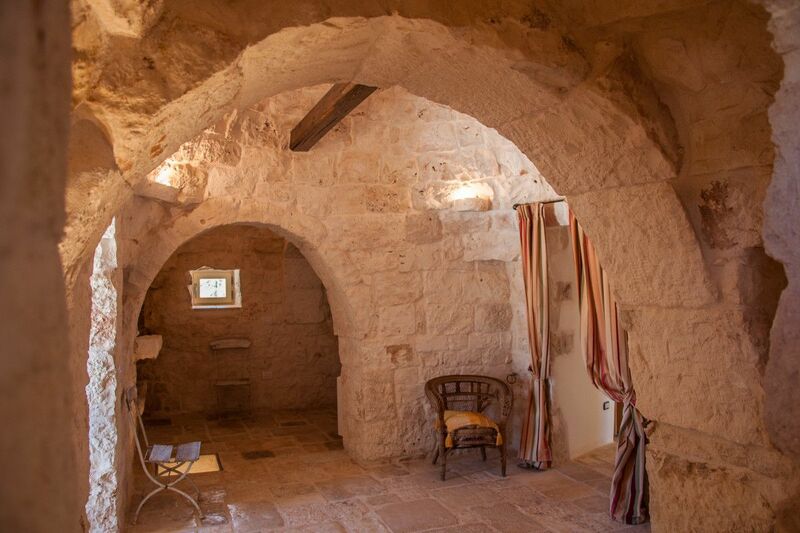 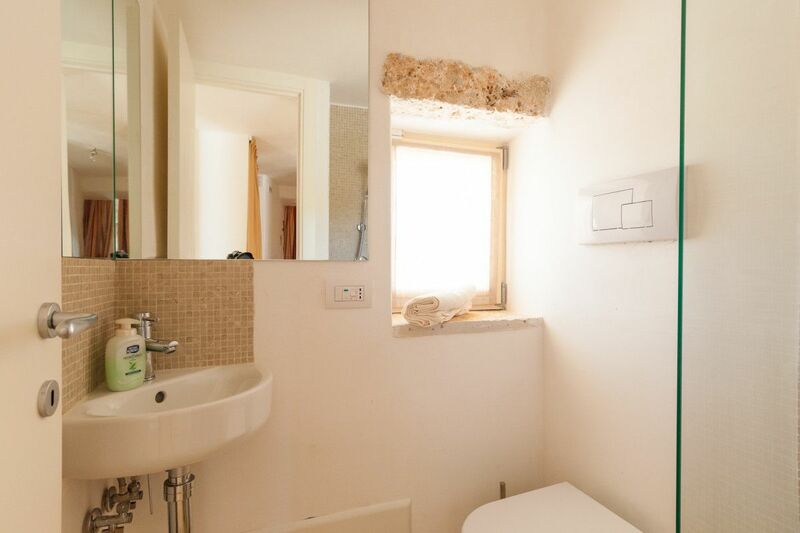 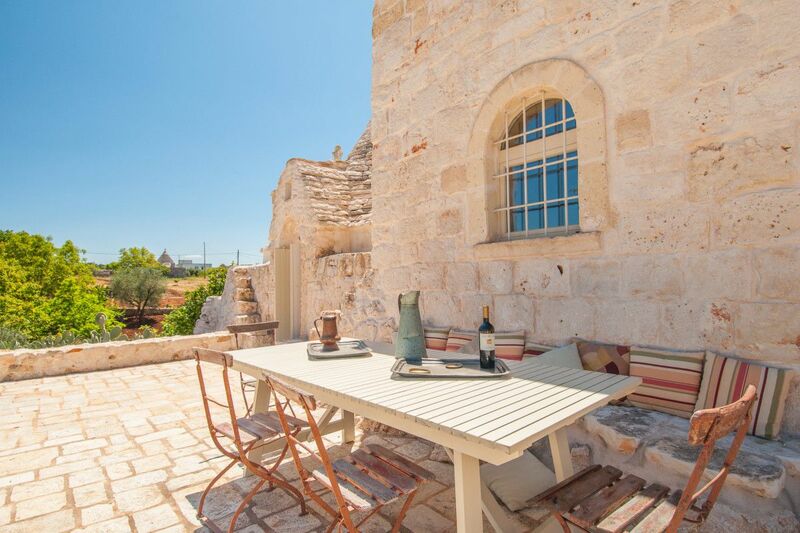 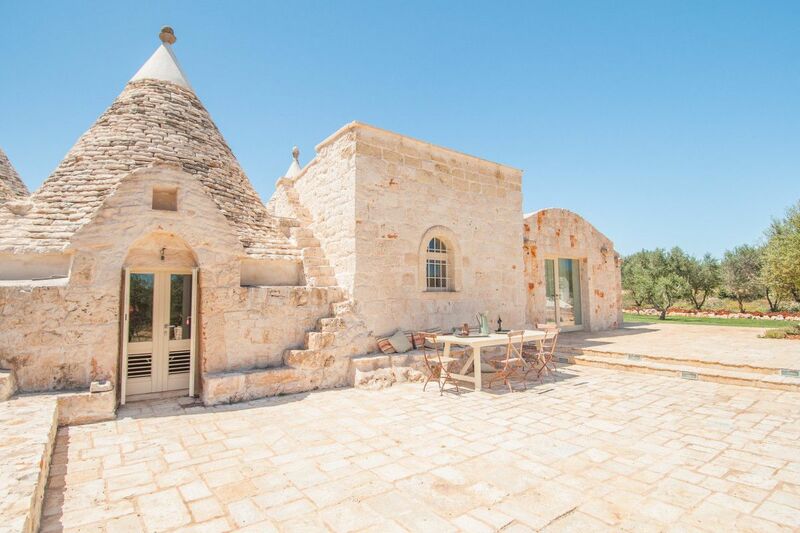 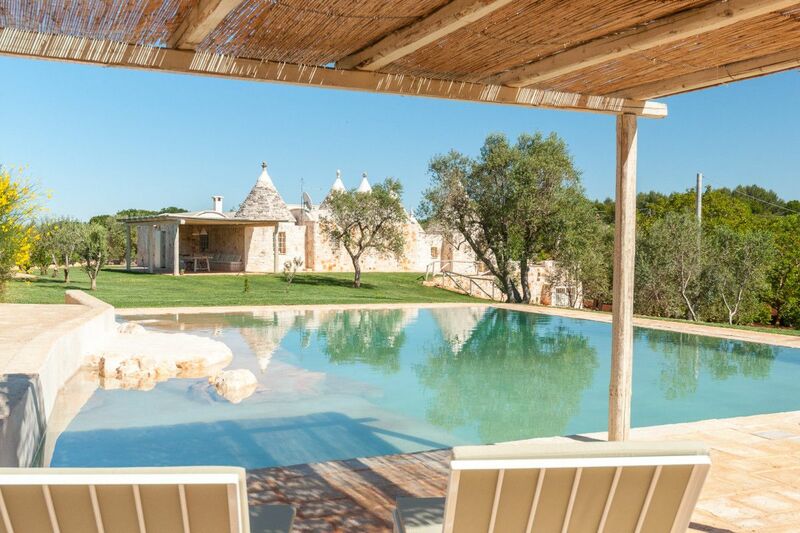 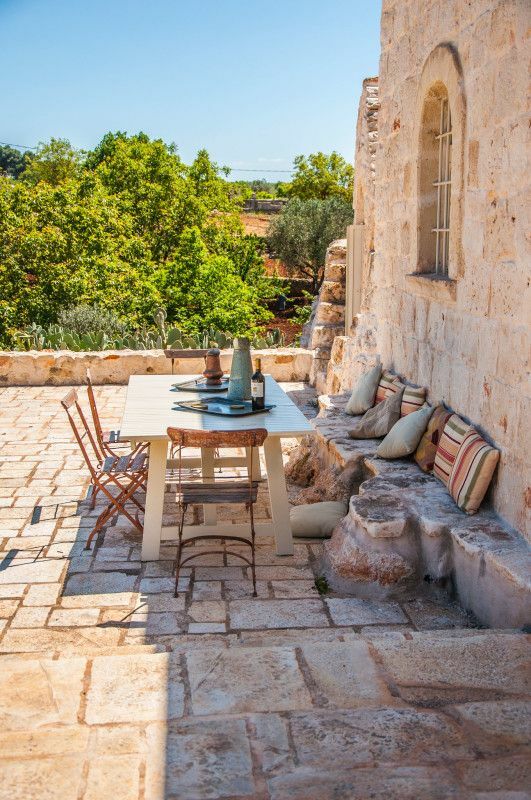 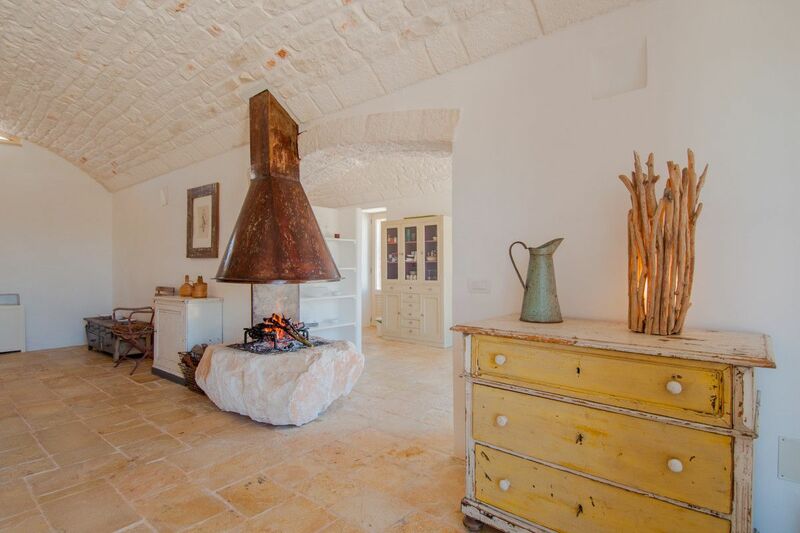 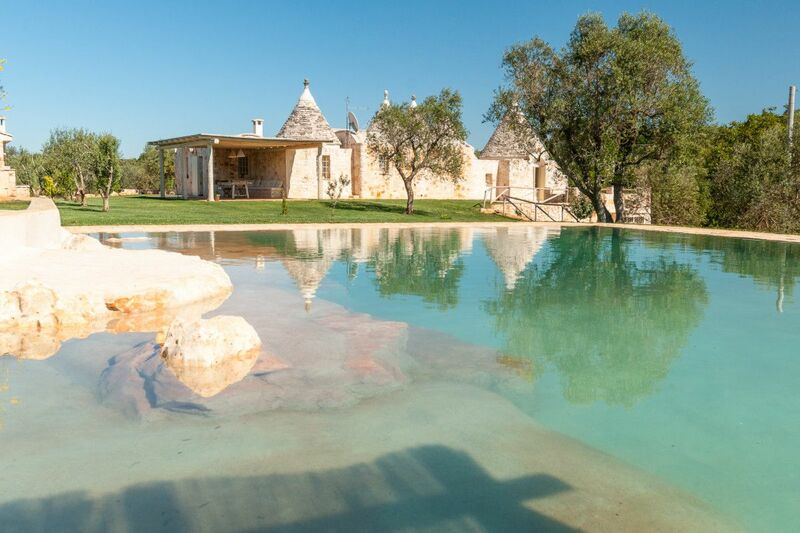 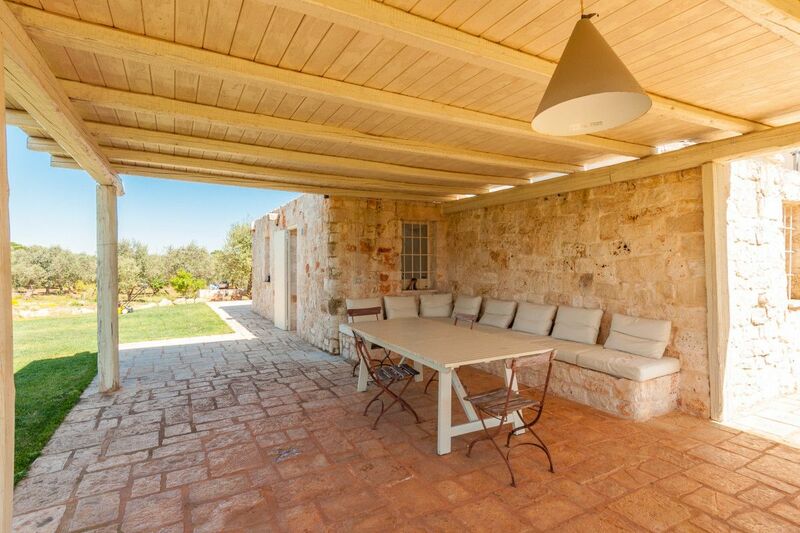 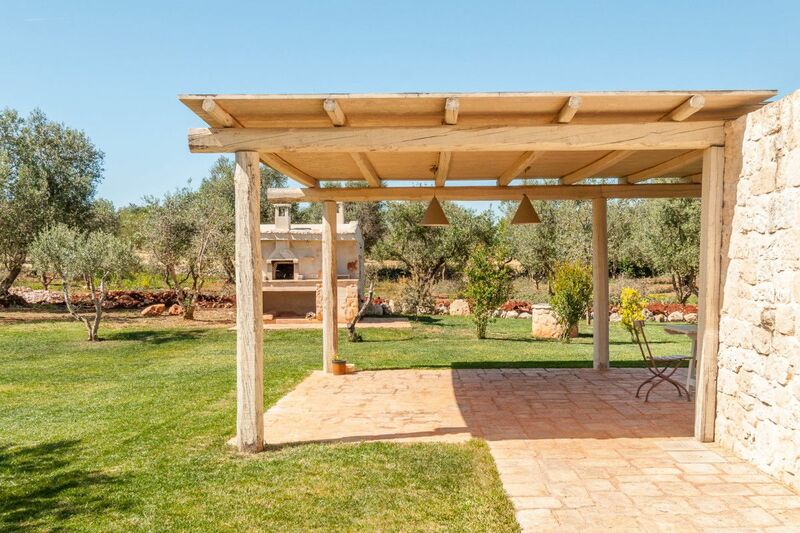 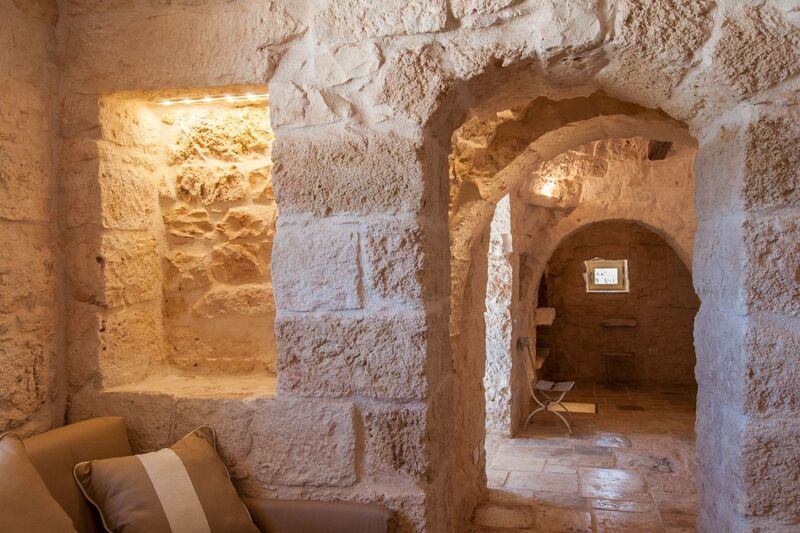 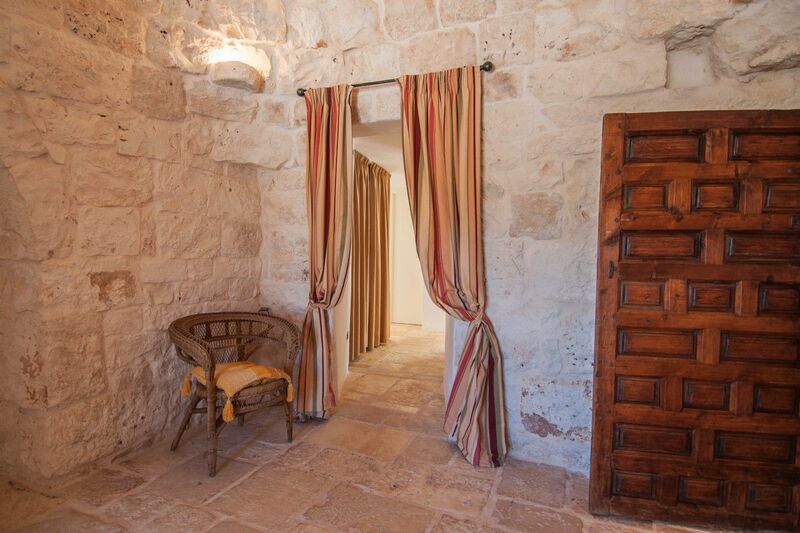 This property is a modernized trulli complex that accommodates up to thirteen guests in three separate areas. 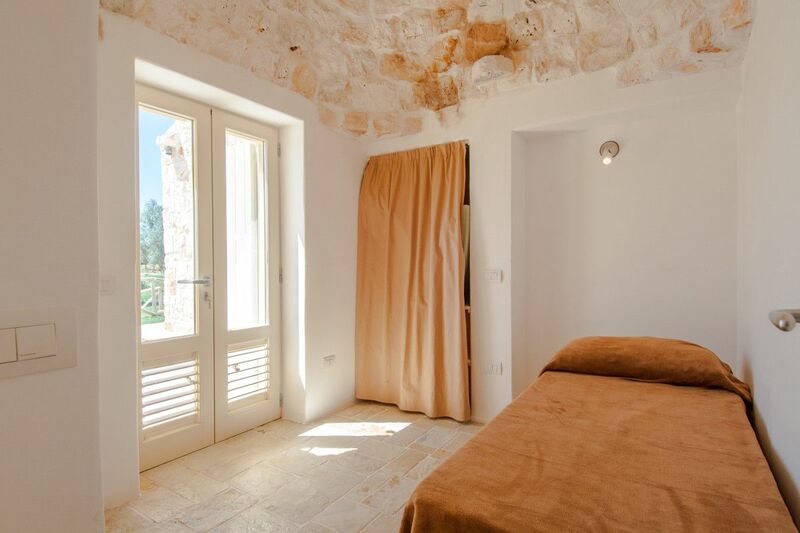 The property can also be rented for a maximum of nine guests, using the main body and annex building only and therefore paying a special price (except for bookings during high and peak season). 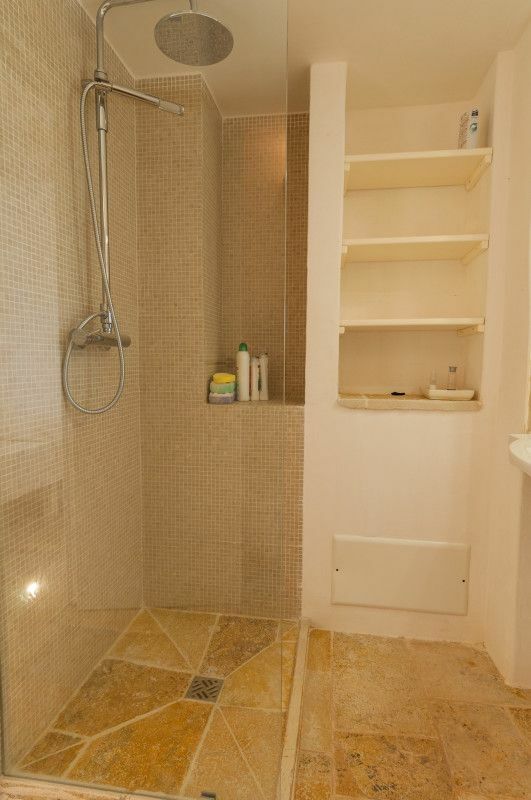 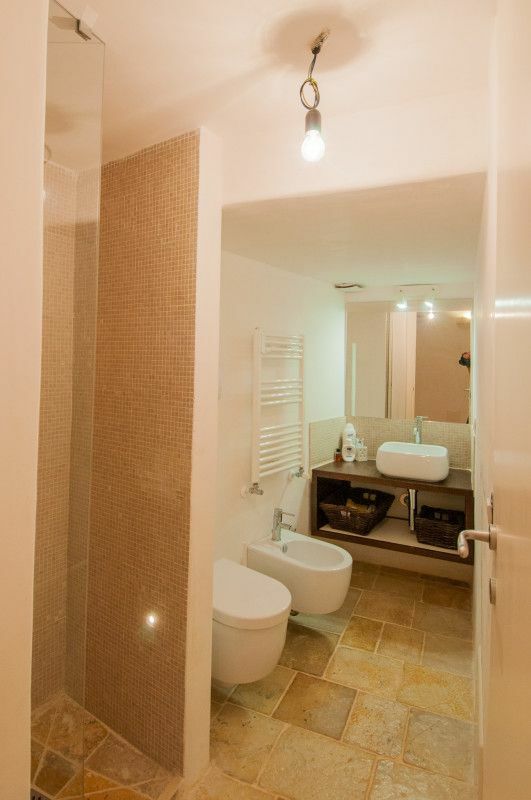 Full bathroom with tub between the two bedrooms. 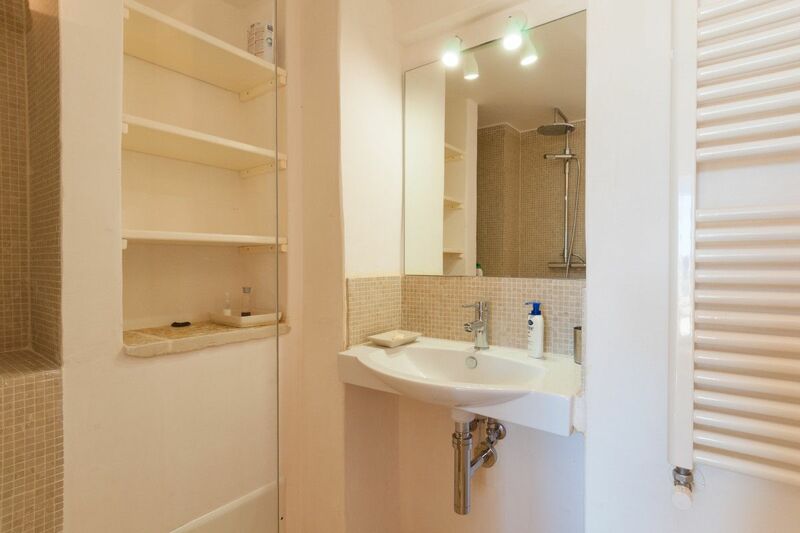 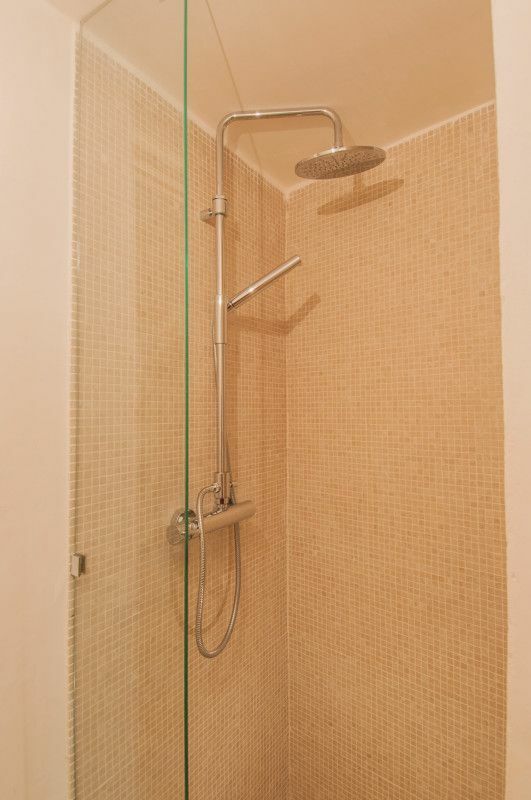 Double bedroom with en suite bathroom with direct access to the external area. 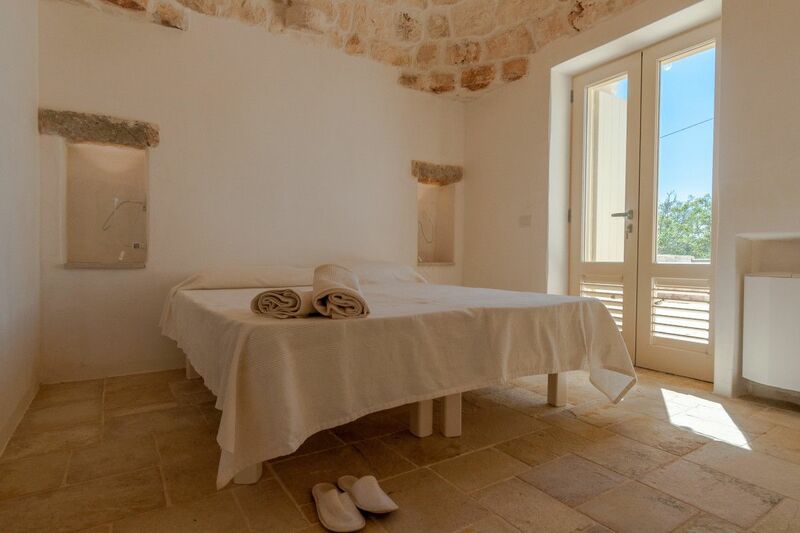 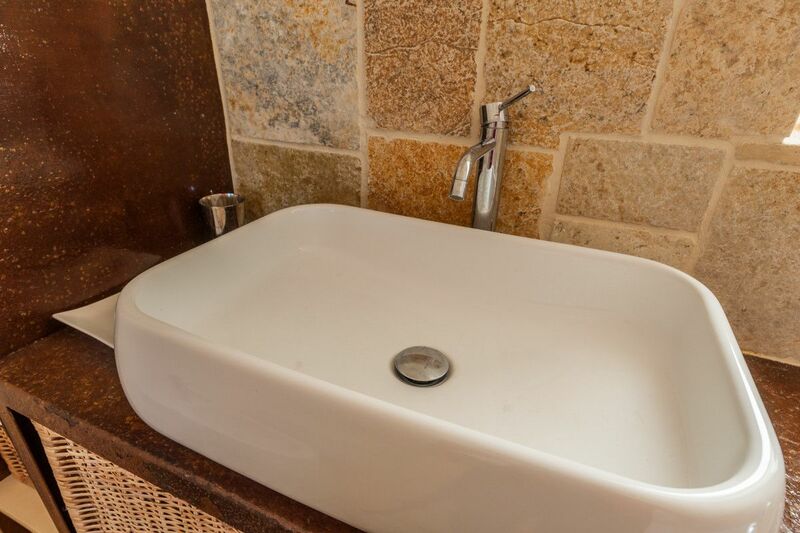 All the rooms of the villa are equipped with individually controlled air conditioning. 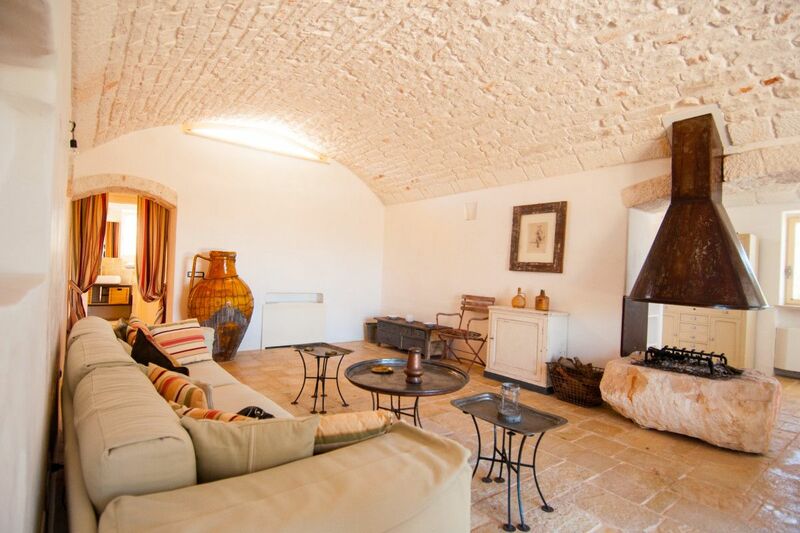 The living area is covered with WIFI signal. 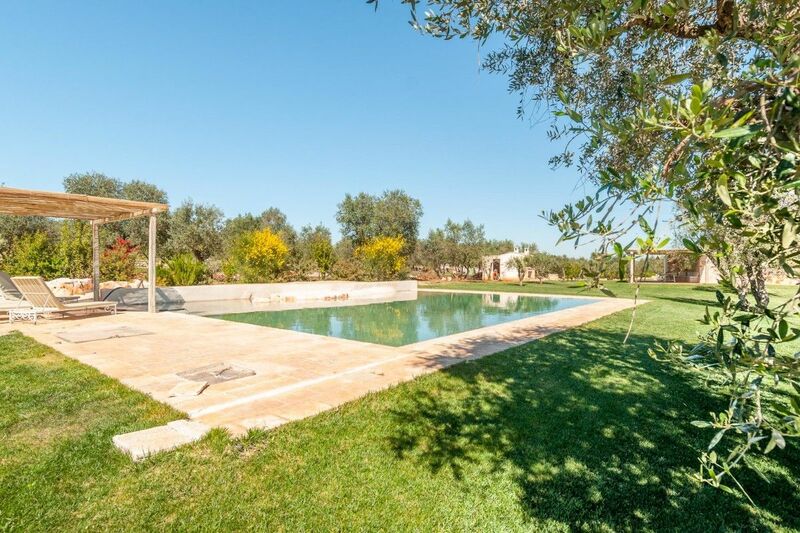 The 12x6m pool is beautifully embedded in the rocks, of which a part has been leveled to form a small and safe area for children and some seats have been carefully carved out to allow people to sit partially submerged in the water. 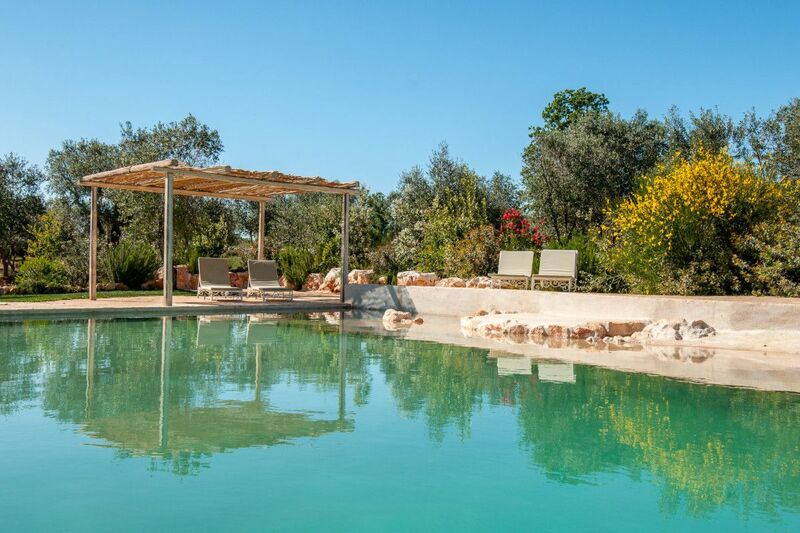 This lovely proeprty is urrounded by a well-kept lush green and the pool area is decorated with atmospheric lighting. 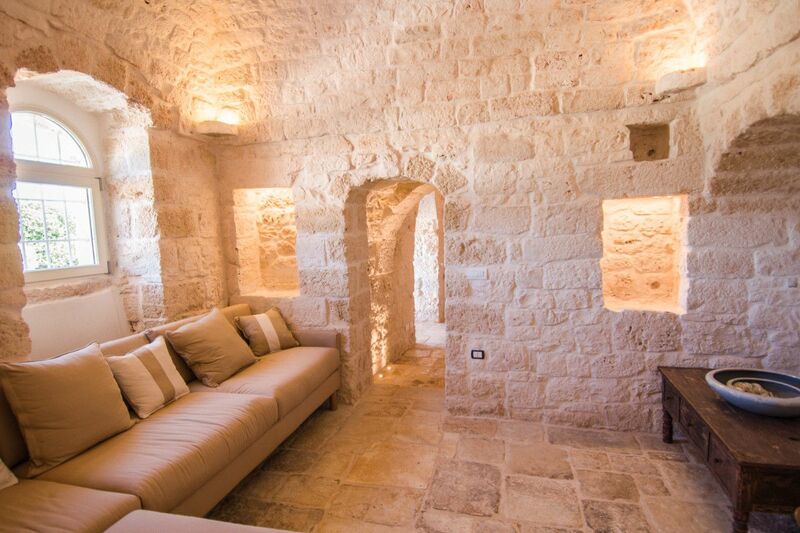 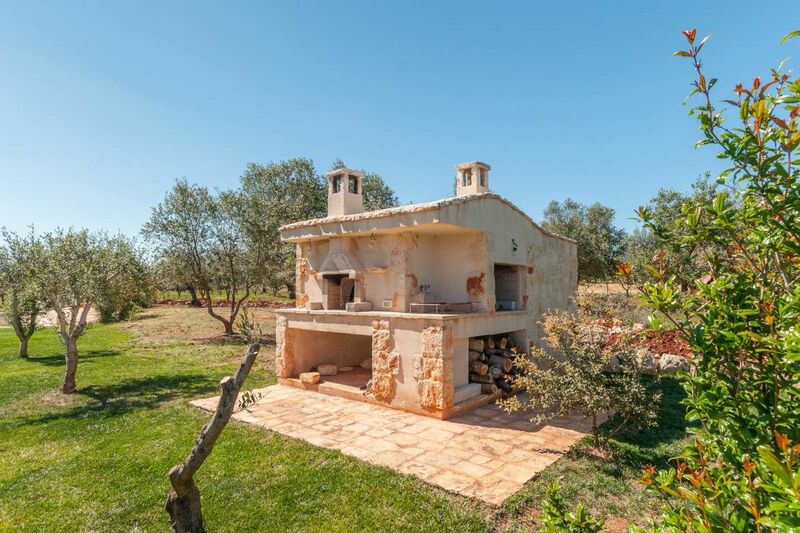 This impressive holiday rental is equipped with outdoor cameras and alarm system. 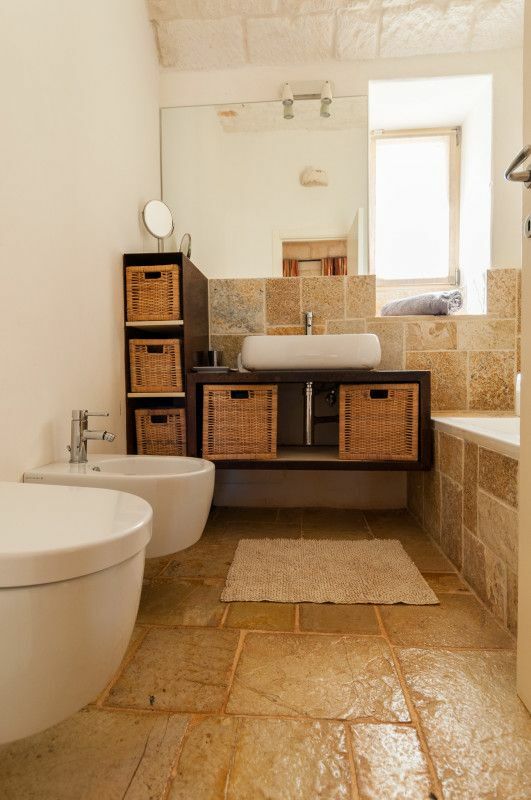 Cleaning & linen: 300 € - weekly for bookings longer than 1 week.